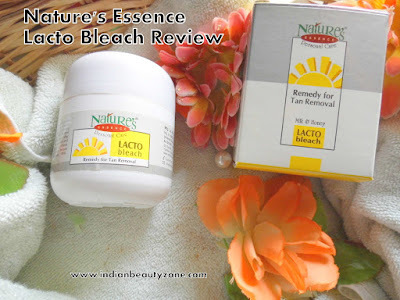 Milk protein and honey enriched special skin bleach cream helps remove the epidermal sun tan, thereby restoring the natural fairness of the skin and also preventing pigmentation due to harmful sunrays. It helps enhance after facial glow. It comes in a white plastic container with a screw open lid, inside they provide a plate like lid to prevent the spillage. You can carry it with you while travelling and the only thing you have to dig your fingers every time inside the tub to use it. The colour of this bleaching cream is white and it looks like a frothy creamy mixture and yeah it has really overpowering smell, I am not sure how can sensitive noses tolerate this smell. The name Lacto Bleach is perfect, the milk ingredient in it acts as Lacto in its name. Milk has natural bleaching power in it because it is rich in Vitamin C and A. The Honey and Lavender oil also helps in skin lightening as well as gives glow to the skin. I cannot tell they have only these ingredients, they must have some other chemical ingredients in this bleaching cream where they hided them without mentioning in the packaging. 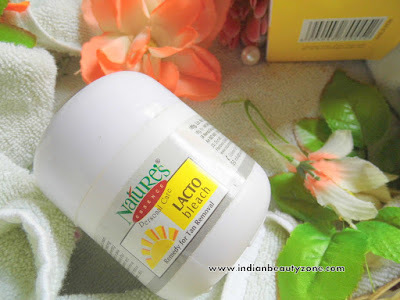 I have used this bleaching cream alternatively with Lacto tan removal cream. Actually I feel both are almost same. 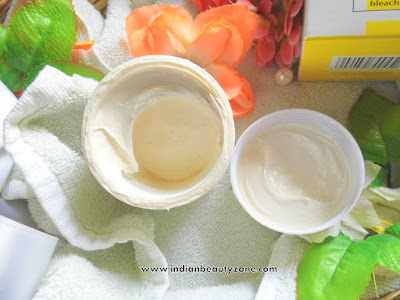 Within one use I saw my skin got bit bright and after continuous usage my new tan got removed completely and my skin also got better texture. I gives good glow to the skin after washing. This cream really works on the skin well and helps a lot to remove your tan from the skin. I really loved the results. Other than these things additionally this cream didn't feel like bleaching cream actually and it didn't cause any allergy or redness on my sensitive skin. 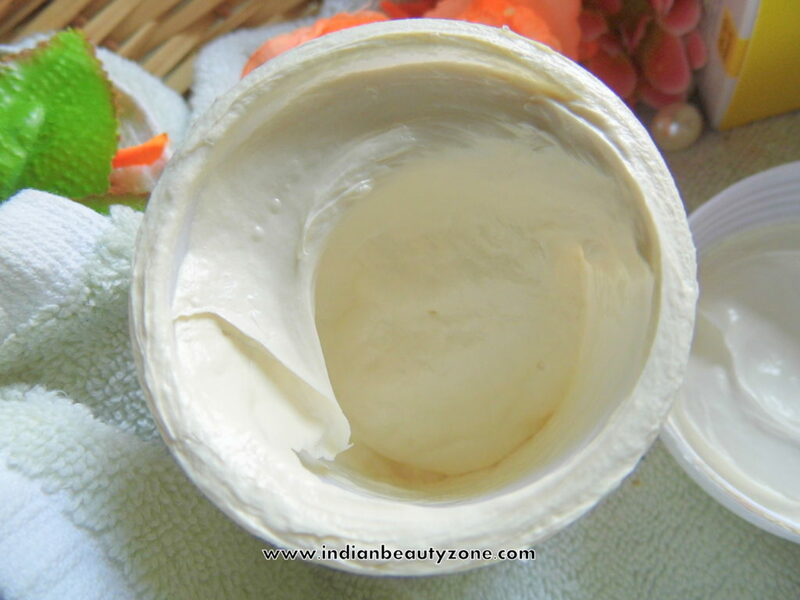 It doesn't dry out the skin and will be suitable for all skin types. It gives bright and glowy skin after regular usage, but didn't prevent further tan, it can remove tan if used regularly and immediately. It is available offline also. It helps to remove tan from the skin by regular use. It really works on your tanned skin. 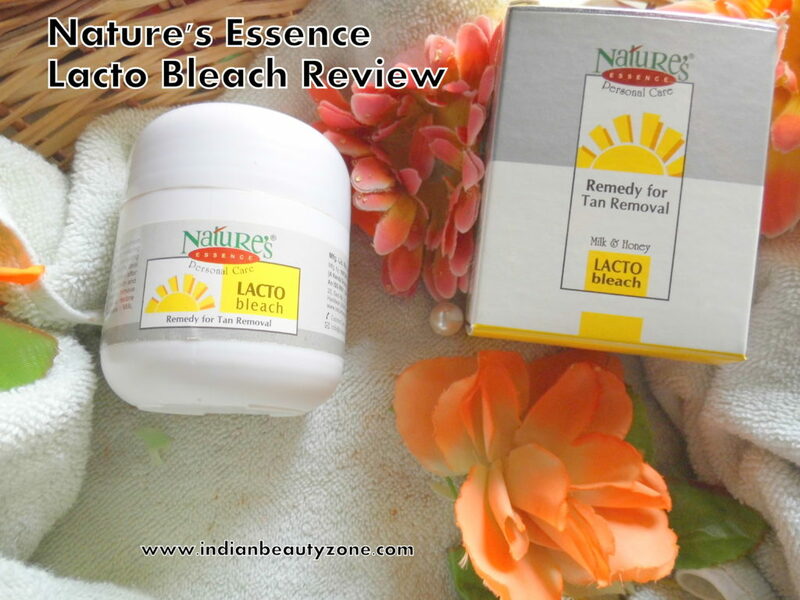 Nature's Essence Lacto Bleach is really working on your tanned skin. 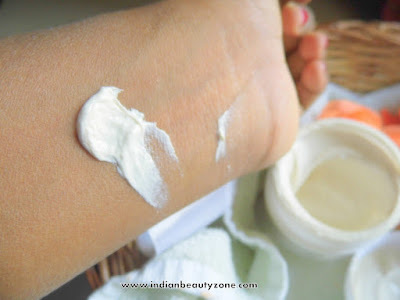 It is really helpful for removing tan in an effortless method. It is a must have product for every girl.